Here are the stories behind the stories: how I reported them, what I learned and why they are among my favorites. They aren’t all my best stories, just some of the ones that stick with me. Oregon found Charles Longjaw “guilty except for insanity” for a brutal 1986 murder and a vicious attempted murder a few days later. The state released him from a psychiatric hospital three times. He attacked again and again and again. People with mental illnesses usually aren’t violent. In fact, they’re more likely to be victims of crimes than criminals. But what about those who are repeatedly violent? As part of ProPublica’s Local Reporting Network, I am spending 2018 looking at how states manage people with mental illness who commit violent crimes. I want to know what works and what doesn’t to keep the public safe — without forfeiting civil rights. If you want to follow along on Twitter, I share updates and show you my process with the hashtag #WhatReportersDo. While Houston leaders celebrated programs to house veterans living on the street, officials quietly battled two federal agencies over how to count the number of available vouchers. Analyzing records, I discovered that more than 1,090 months of rent went unused in one year even as hundreds of homeless veterans were put on wait lists. My reporting uncovered additional layers of a national problem that a regional GAO audit had missed. bridges he made home while unnecessarily waiting for help. 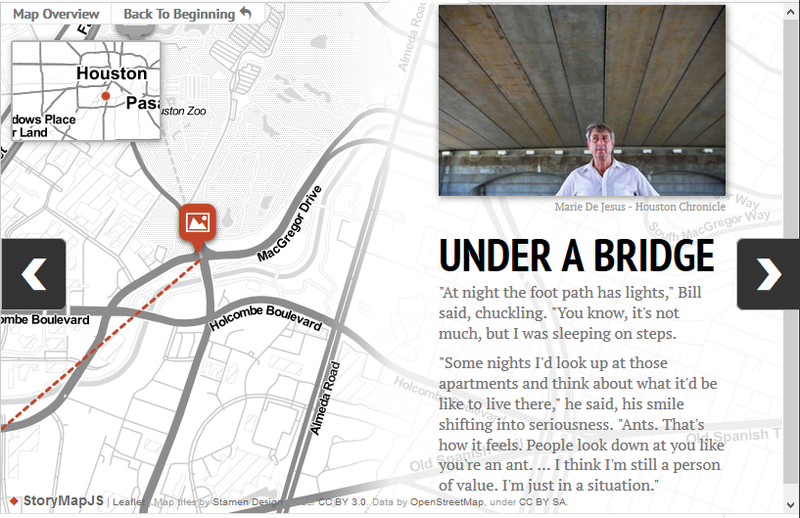 I turned that tour into a narrative, interactive map with Marie De Jesus, one of my favorite photographers for capturing storytelling images and connecting with subjects. Could Robert Wilkes actually be innocent? Several details shared during jury selection and early stages of the trial seemed unusual to me, so I dug in. My story did not definitively answer the question, but it did highlight problematic parts of the trial and put them into the national context of wrongful convictions in similar cases. It also explained the ways the evolving conclusions of science can be an ill fit for the finality of decisions made in courts. In hindsight, I should have asked more questions about the adequacy of the defense mounted by Wilkes’ public defender and waited to publish my story until I received documentation that showed whether a Minnesota doctor had, in fact, excluded other explanations for the death. My reporting brought the case to the attention of the Montana Innocence Project. They later found new medical evidence that the child’s death was the result of a rare disease and not murder. The group is seeking to prove in court Wilkes is actually innocent and should be exonerated. People kept talking about the growing number of babies born into withdrawals and the skyrocketing number of kids removed from their families because of drug use. In Montana, the numbers were among the highest and fastest growing in the nation. Why? That was the driving question of a first-time investigative collaboration between the Missoulian and the University of Montana School of Journalism. I worked alongside a dozen students guided by Professor Joe Eaton and me. We identified best practices for treating mothers-to-be who use drugs, finding Montana falls short on several measures. The nine-part series documented the failures of leaders in state government and health care that, while common nationwide, were more pronounced in Big Sky Country. In just a couple weeks, their work triggered promises from state leaders to do better, captured attention from leading subject experts and reporters, inspired an Esquire writer to type a few critical words of a state legislator, and was noted in two national newsletters about journalism: The Sunday Long Read and Local Matters by Investigative Reporters and Editors. 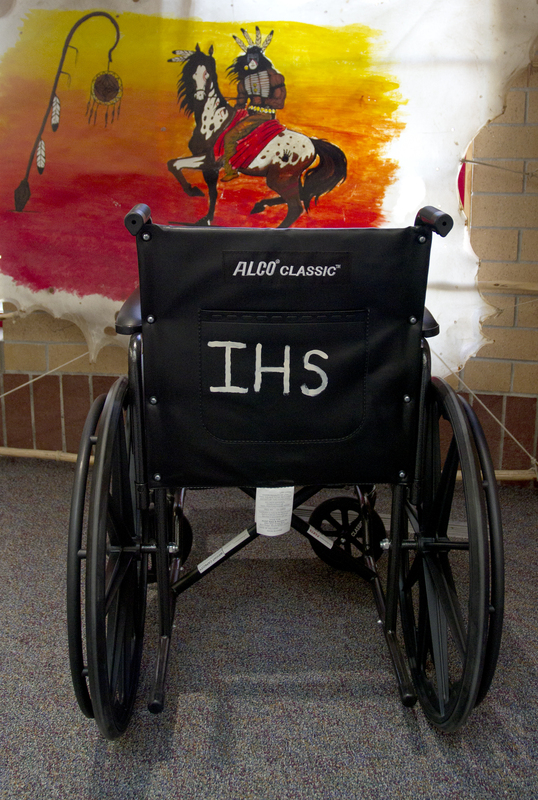 20 years: That’s how much sooner Native Americans, on average, die than white Montanans. Poor access to basic, let alone quality, health care is a critical reason. Montana has long ranked as having the highest uninsured rate among Native Americans. The Affordable Care Act and then Montana’s expanded Medicaid program were touted by federal and state leaders as ways to close that gap. But how well have they done? For me, the series emphasized the rewards of tedious reporting to understand complex regulations and the trust it can create with sources wary of parachute journalists, who sometimes focus on the problems and not the people finding solutions despite them. The expertise I developed allowed me to move quickly on an enterprise story a few months later. Outside of indigenous media, I wrote the most comprehensive analysis of how the GOP plan to replace the Affordable Care Act would impact Indian Country. The project also helps me write fuller stories about other health challenges spanning Montana communities, including a shortage of mental health treatment facilities, a spike in meth and opioid use, and the fact the state has one of the nation’s highest suicide rates. There is nothing special about this brief. We have done better reporting on the significance of these scores. 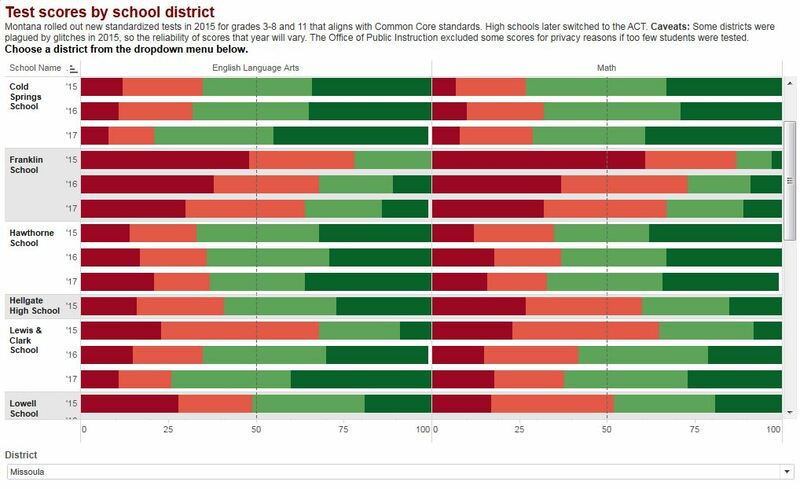 But it does include an interactive database of school-level test results that most parents would never see otherwise. For me, this chart is an example of the long-term value of some interactive designs. I built it three years ago and now it takes only a few minutes to update it each year with the new results. At NICAR 2018, I organized a panel with Rachel Alexander and Kai Teoh titled “Recycle dataviz.” We talked about how to maximize the value of your work by doing things that can be used again and again with quick updates, sharing ideas for data sets that can fuel multiple stories, visualizations that can have a long lifespan and how to reuse code for a variety of applications. In my first hand-coded map, I showed how ambulances frequently responded to calls far from their stations (the yellow marker) because the county had too few units to serve the burgeoning population. I revealed commissioners ignored their ambulance director for nearly a decade as he asked to expand his crews as the county’s population grew by almost half. The county fought my request for response data, but released it months later when the attorney general ruled in my favor. By then, the longtime EMS director had left and commissioners had hired a new leader. He cited my reporting as he successfully petitioned for a 30 percent funding increase. While reporting that story, I discovered another. A city within the county had become so fed up with poor ambulance service that it launched its own — except they did so months before securing the licenses for administer industry-standard medications to stop heart attacks, strokes or to treat other life-threatening emergencies. This story was one of highs and lows. I was proud of my narrative writing, interactive elements and video. But I relied too heavily on (white) historical sources so I missed a critical component of the story. In short, Sugar Land was, from the start, a company town. The closure of the sugar refinery began a new era for the city that would ultimately reshape the industrial site into a multi-use development. What I didn’t learn from my interviews with city leaders, development officials, neighborhood residents and hours at the library was that the refinery had for decades relied on sugar cane produced with slave labor and then with convict labor, which was the same practice by a different name. The error makes me reluctant to share the story. It was a searing reminder to reach out to diverse group of residents, particularly when writing about a community’s history. I corrected the record a little (just a little) with a follow-up blog post that included the personal memories of several residents. I am interested in freelance reporting, research, design, writing, and copy editing work. jaymereports@gmail.com.